2 Bedroom Apartment To Rent in Nottingham for £600 per Calendar Month. Available Late May Well presented two double bedroom first floor apartment in the sought after residential area of West Bridgford. Modern kitchen with gas hob,integral electric oven and space/plumbing for washing machine. One reception room: lounge/diner with dining table and 6 chairs. Two double bedrooms. Family bathroom with three piece suite and shower over the bath. The apartment has allocated parking and garage included in the let. Well presented two double bedroom first floor apartment in the sought after residential area of West Bridgford. Modern kitchen with range of white, high gloss cupboards, with grey mottled effect worktop. Gas hob, with integral electric oven and space/plumbing for washing machine. One reception room: lounge/diner with dining table and 6 chairs and wide window with view to the front on the Rushworth Court. Two double bedrooms with front facing views over the communal gardens. Family bathroom with three piece suite: WC, hand basin and bath with mixer shower over. Floor to ceiling high gloss ceramic tiles to walls and high gloss black tiles to floor, finished off to a good standard. 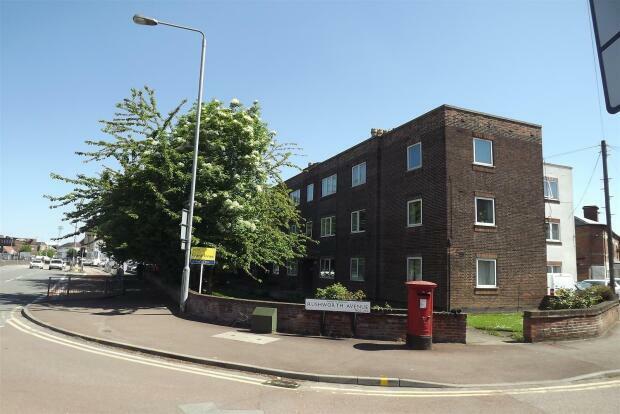 Apartment comes with allocated parking space to the rear of Rushworth Court.